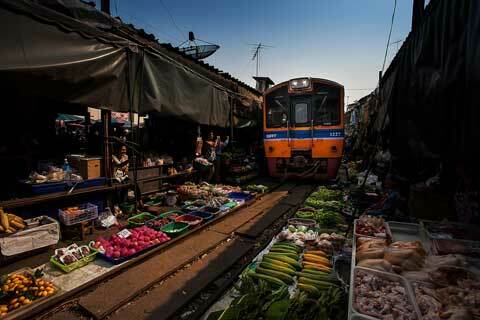 Railway Market of Mae Klong where you can see fresh market stalls lying on both sides of the railway tracks. 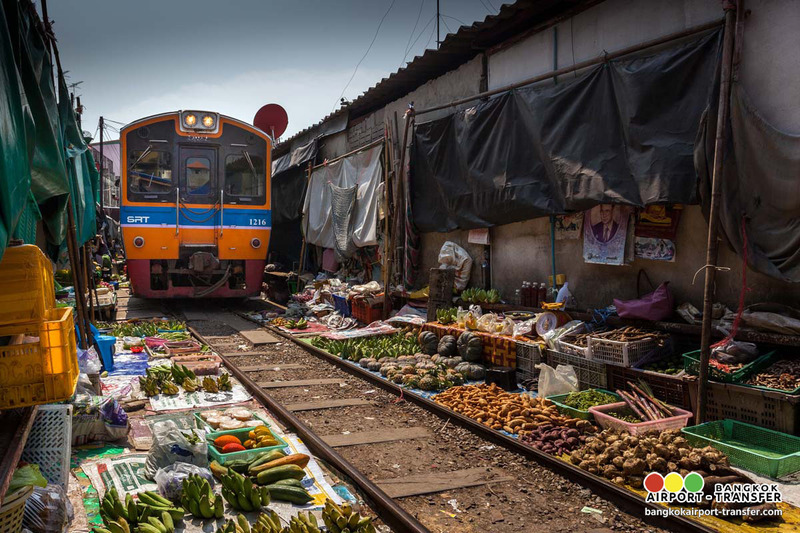 Witness breathing-taking scene when the train approaches the tightly packed market, and watch vendors dismantling their stalls while the train passes through and immediately reoccupying the rails after. 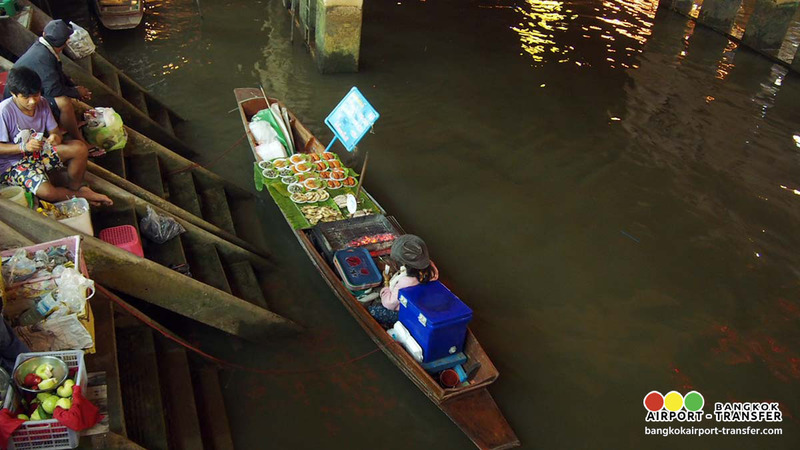 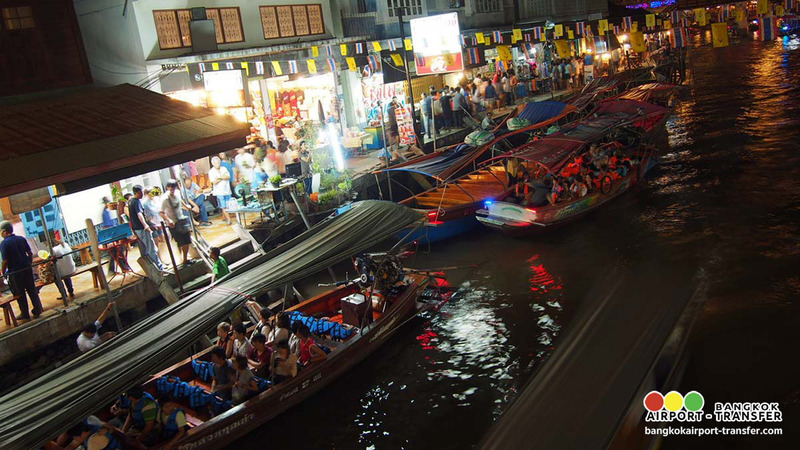 Amphawa Floating Market, It is an afternoon floating market on Friday, Saturday and Sunday, during 12:00 – 20:00 Hrs, the Amphawa Canal is occupied by vendors who pack food on their boats, such as Fruit, Noodle, Drink, fried sea mussel etc. 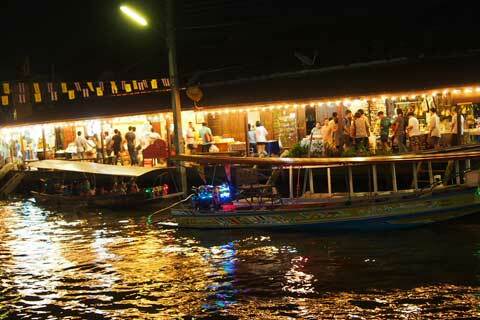 you may see the firefly in the evening. 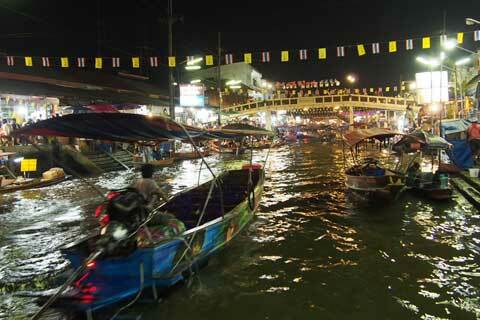 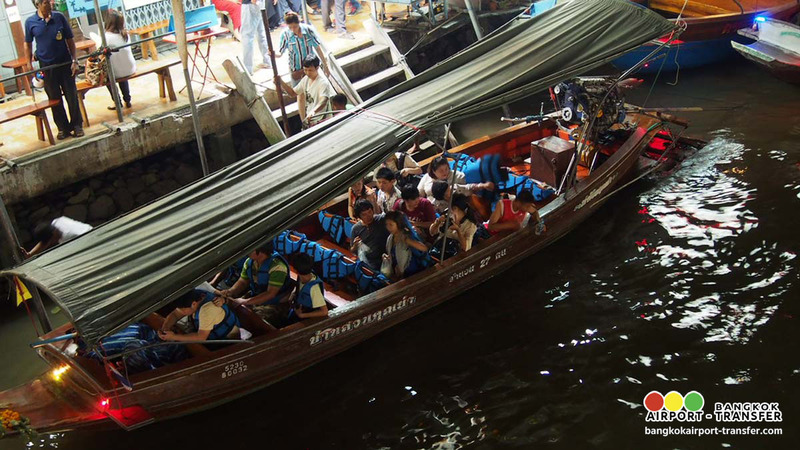 12:30 Depart for SamutSongkhram, is located just southwest of Bangkok, along the Gulf of Thailand. 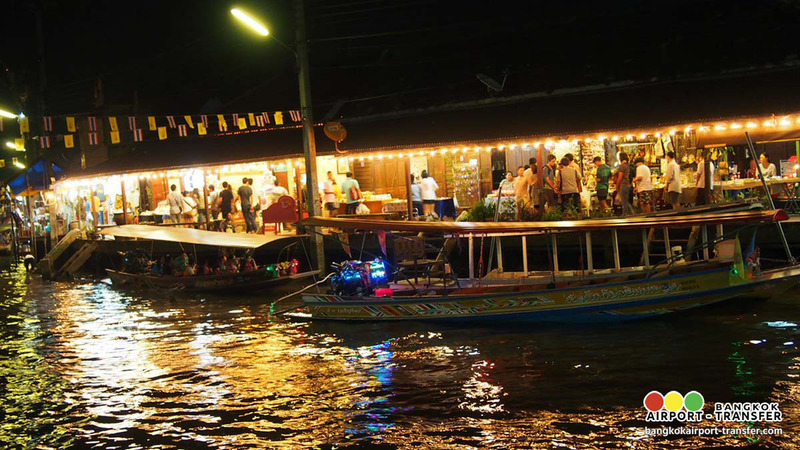 Attractions in the province include floating markets, temples, a Siamese cat house, and the Ban Phaya So – the home of a famous alto fiddle maker who combines the art of traditional Thai music with wood carving. 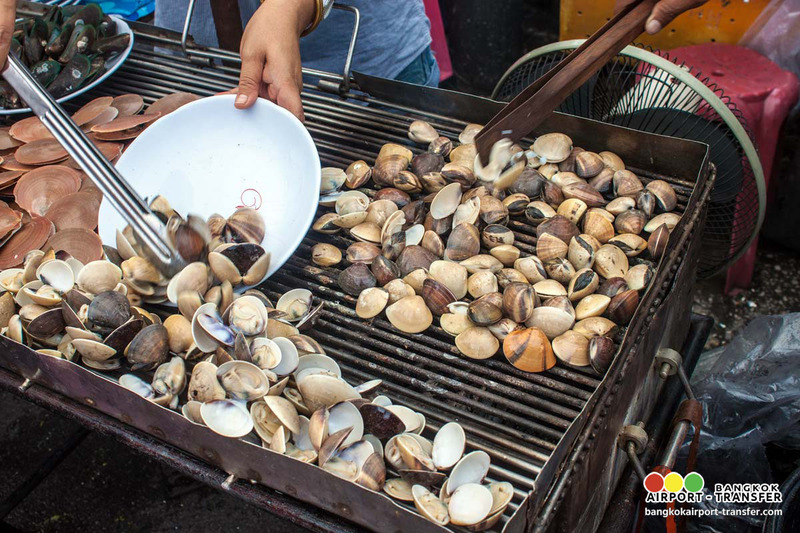 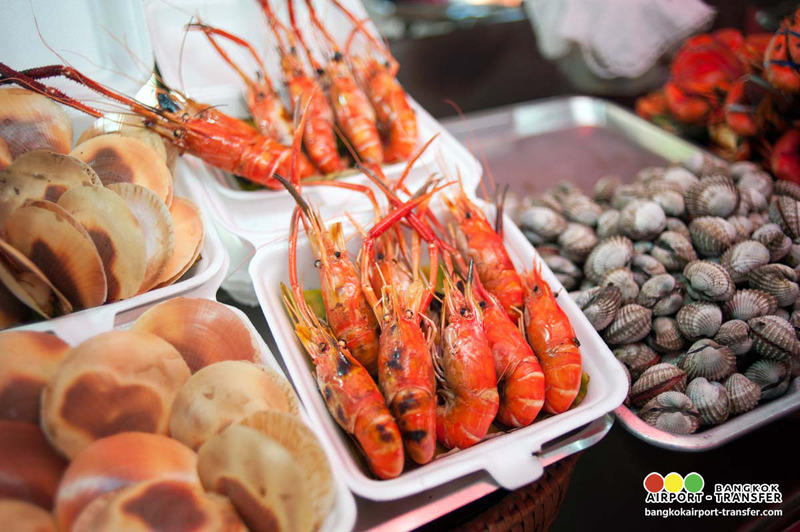 It is a province of fertile land, ripe with plants and crops, including numerous vegetables and fruits, as well as a vast variety of seafood products. 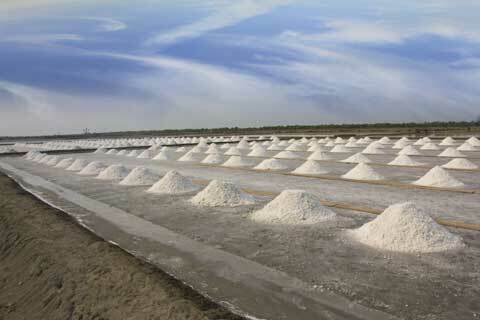 13:30 Visit Salt Farm, from Bangkok along Highway 35 which is the road you take when going south. 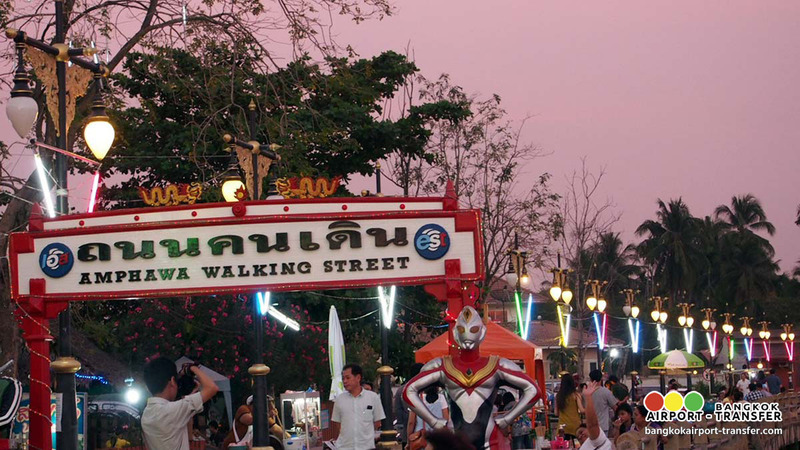 One of the picturesque landmarks of the stretch between Samut Sakhon and Samut Songkhram are the salt f on both sides of the road. 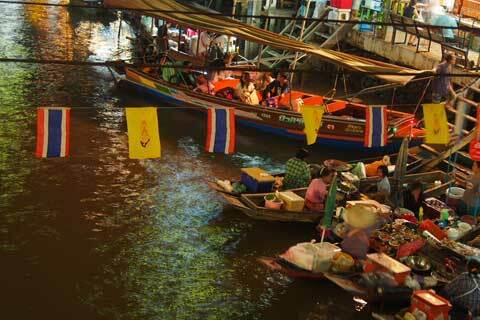 This area is the biggest producer of brine salt in Thailand. 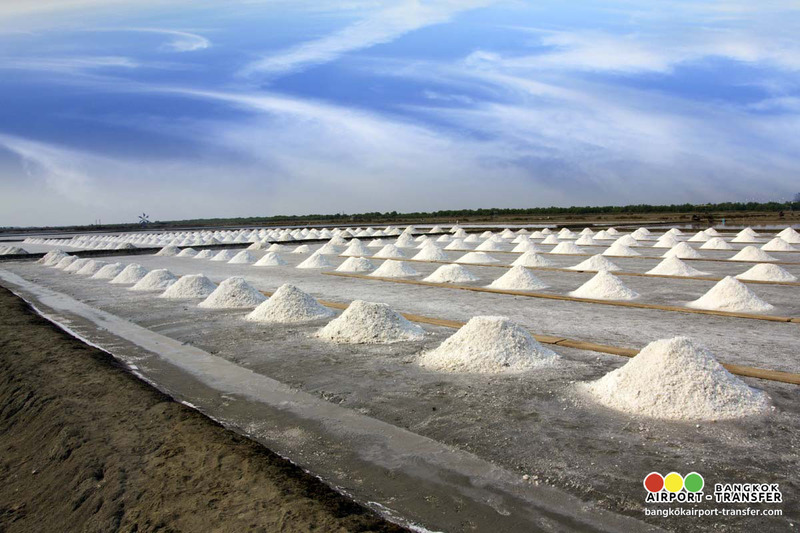 Their main season is from about October to April as salt farming works better without the heavy rains and it needs the strong sun. 14:00 Visit Mae Klong Railway Market (Hoop Rom Market) is a local market in Samut Songkhram Province, commonly called Siang Tai (life-risking) Market. 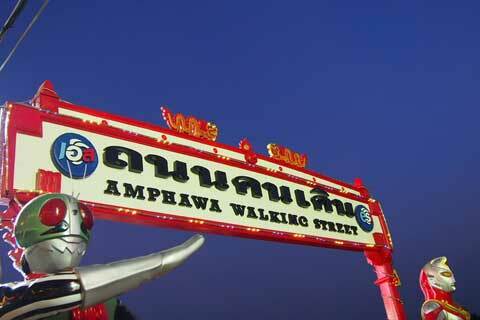 It is considered one of amazing-Thailand attractions in the province. 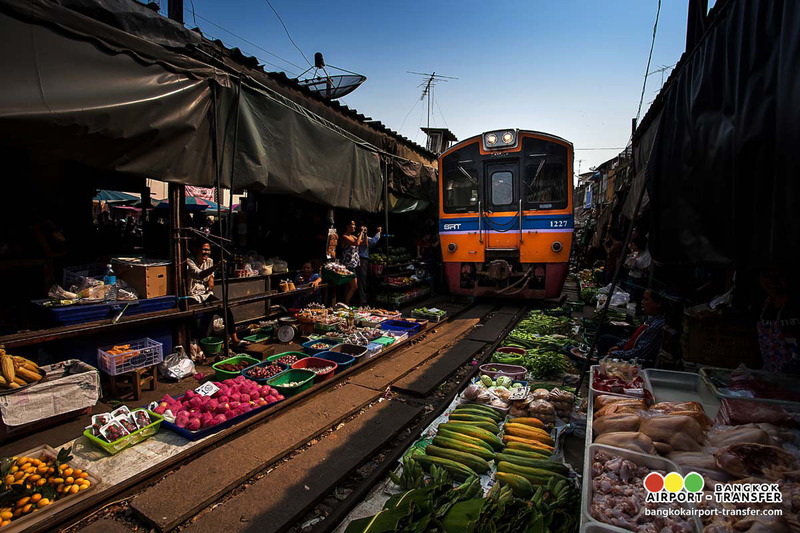 Spreading over a 100-metre length, the market is located by the railway near Mae Klong Railway Station, Mueang District, Samut Songkhram Province. 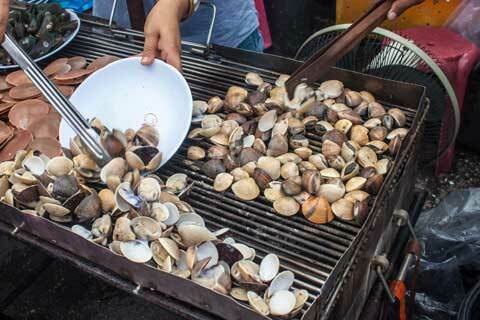 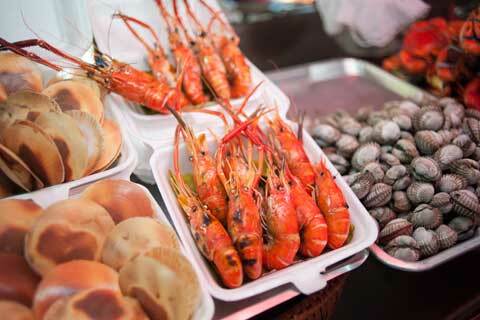 It is a common fresh market selling seafood, vegetable, fruits, fresh and dried food, meats and other miscellaneous goods. 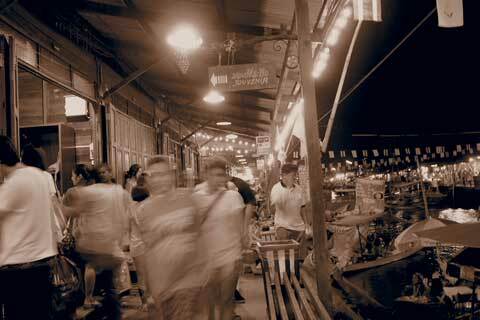 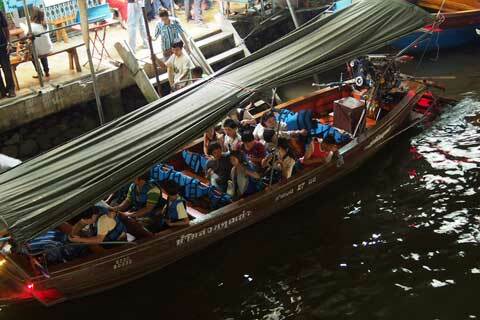 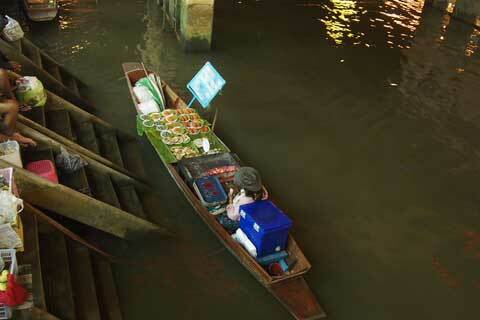 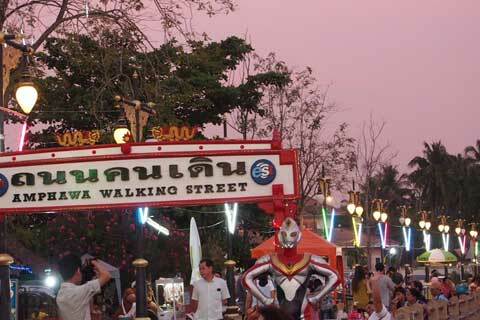 Mae Klong Railway Market is open from 6.00 a.m. -6.00 p.m.
16:00 Free time at Amphawa Floating Market. 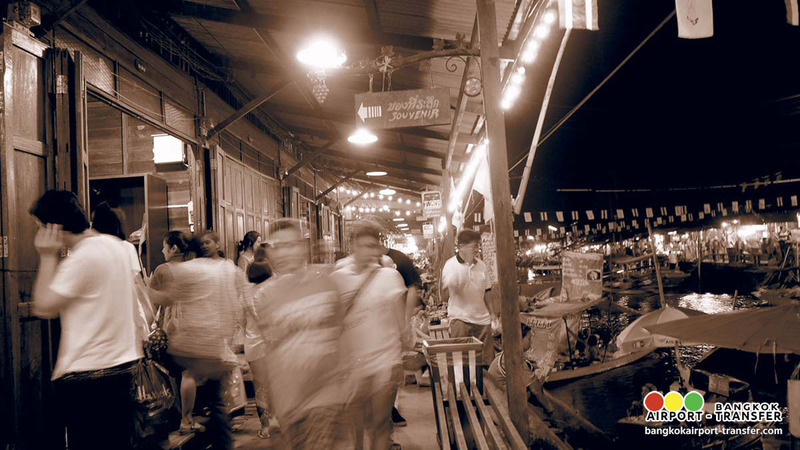 Visitors can enjoy a cosy atmosphere and music broadcast by the community members, explore the market and local food. 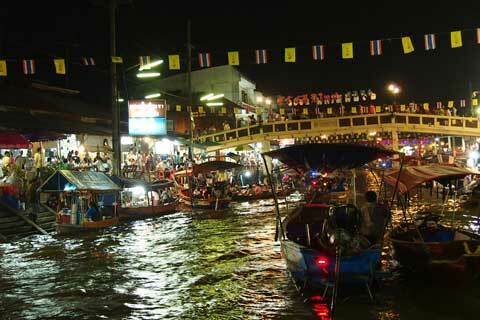 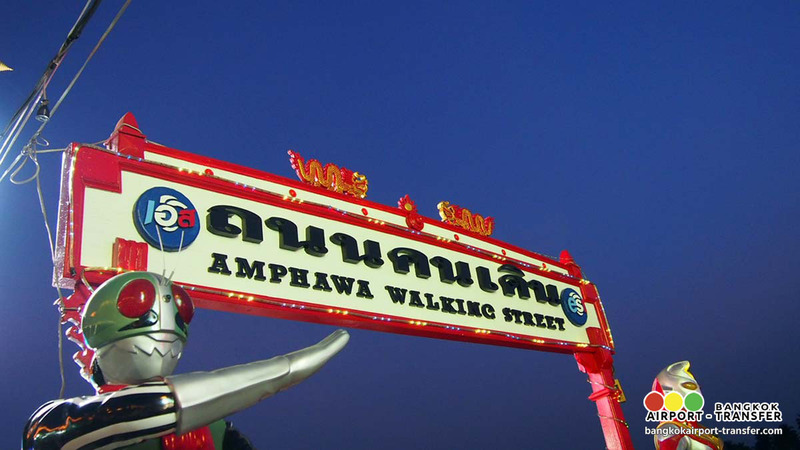 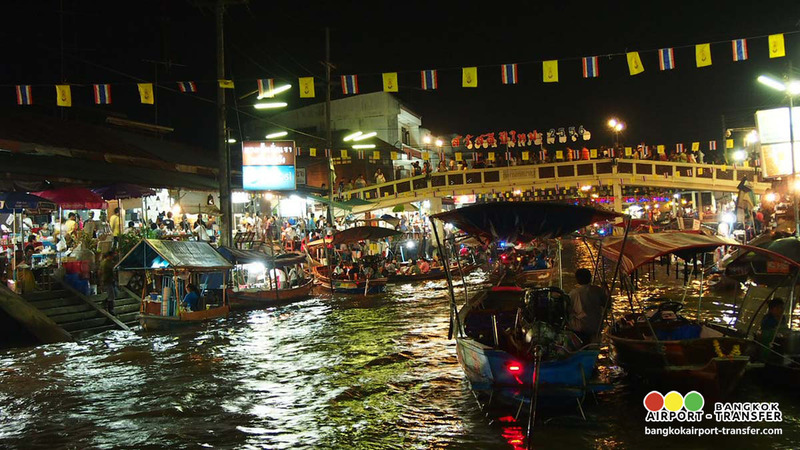 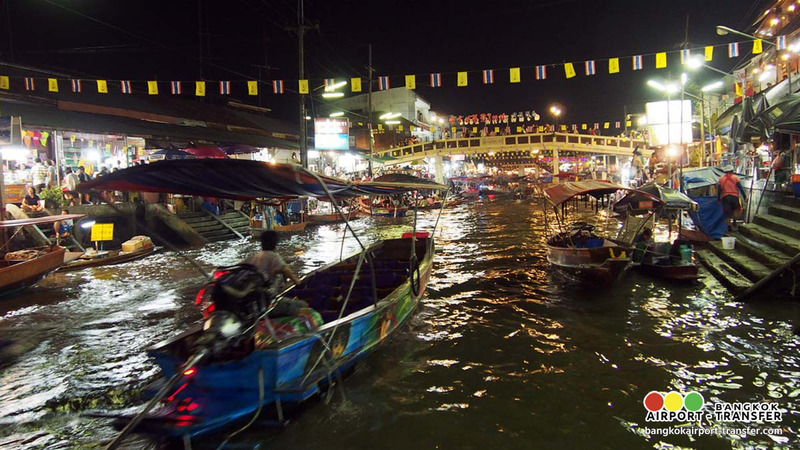 Amphawa floating market is Thailand’s only evening floating market and it operates only on Fridays, Saturdays and Sundays. 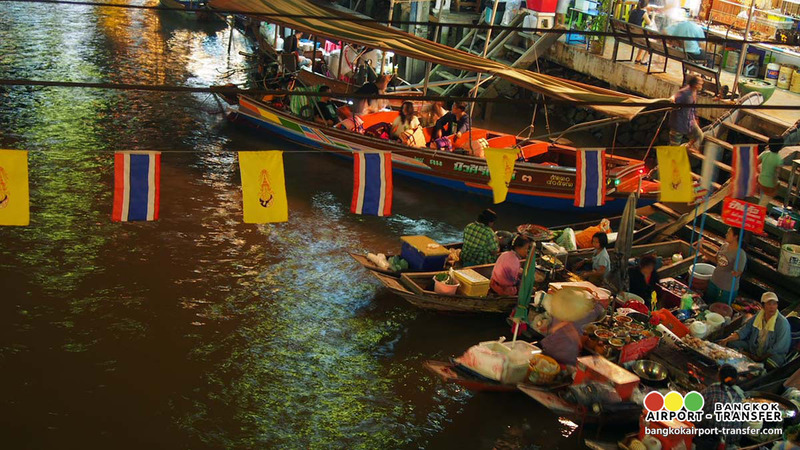 The market starts at around 15.00 on Fridays, and at noon on weekends. 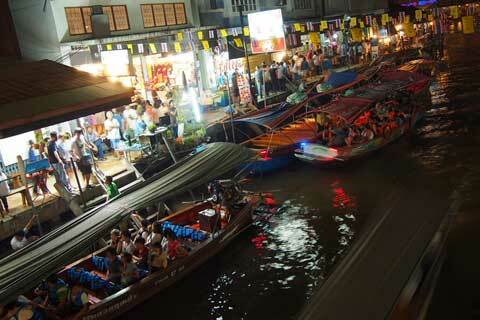 20:00 Arrive at your hotel.